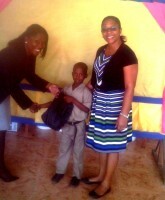 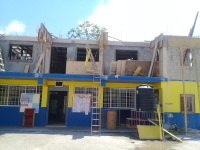 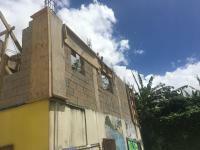 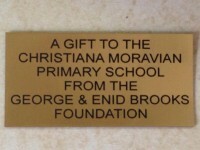 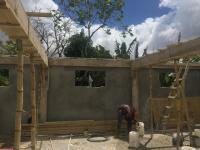 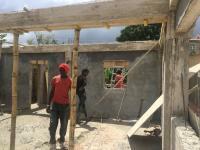 The George & Enid Brooks Foundation has made a commitment to support the children of Christiana in Manchester, Jamaica through partnerships with the Christiana Moravian Primary and Infant School and the Lower Christiana New Testament Church of God, the church originally built by Pastor Brooks. 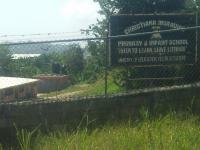 Our commitment is to continue to support this small community which has very limited resources. 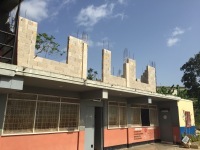 Foundation members have visited the Christiana Moravian School and met with administrators to determine their needs, which include school supplies for each student, desks, computers, books, teaching resources and a new school library. 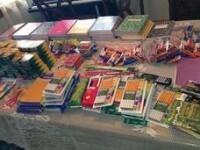 The Foundation sends annual school supplies for at least 30 children, and has sent dozens of books, a multimedia projector and medical supplies for the school nurse. 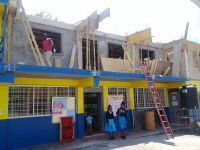 We are also helping to fund the building of a new school library. 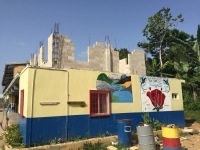 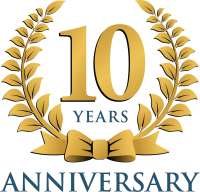 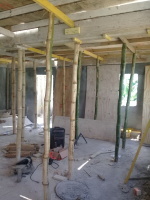 Scroll through below for some images of our ongoing contributions, along with the progress of the school library construction. 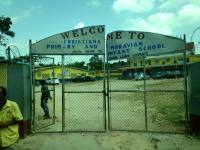 The Lower Christiana Church of God serves children and families with extremely limited resources. 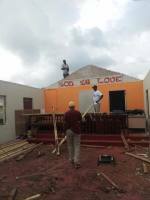 They are in need of food, clothing and Sunday School materials. 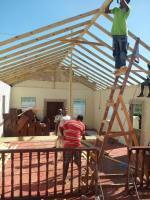 The church itself is also in need of major repairs. 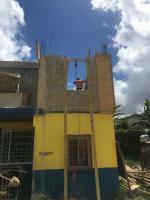 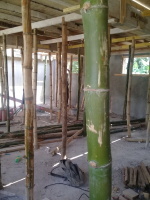 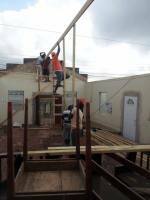 Our Foundation recently contributed towards replacement of the roof and installed electricity and light fixtures. 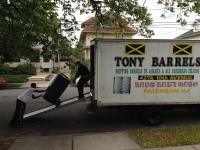 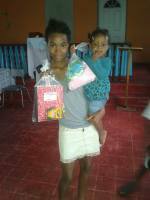 We also send a barrel every Christmas season filled with food, clothing and presents for the children.